Last week we endured several inches of rain over a 4 day period. It was much needed and not accompanied by strong winds which made things very pleasant. The weather did put a crimp in departures for a few days but had no impact on the bite. When the sunshine returned the action packed fishing continued. 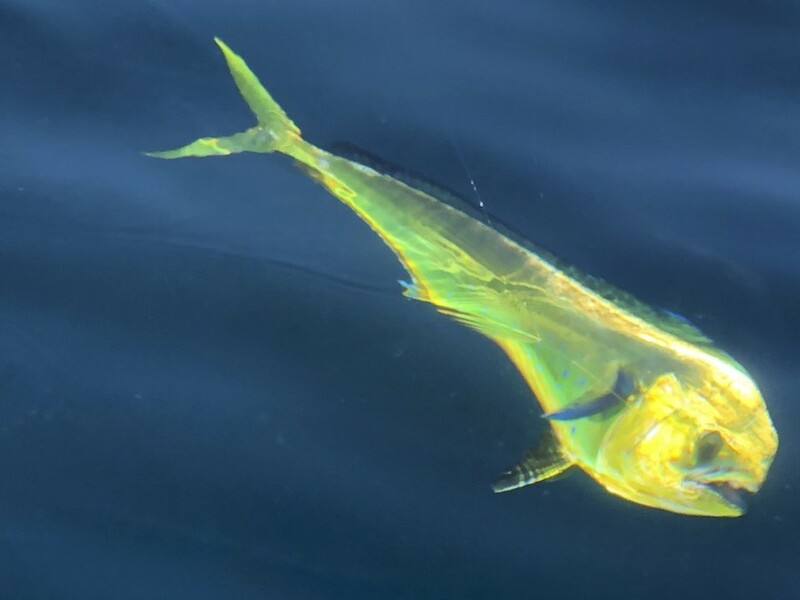 2018 will go down as the year of the yellowfin tuna for the East Cape. 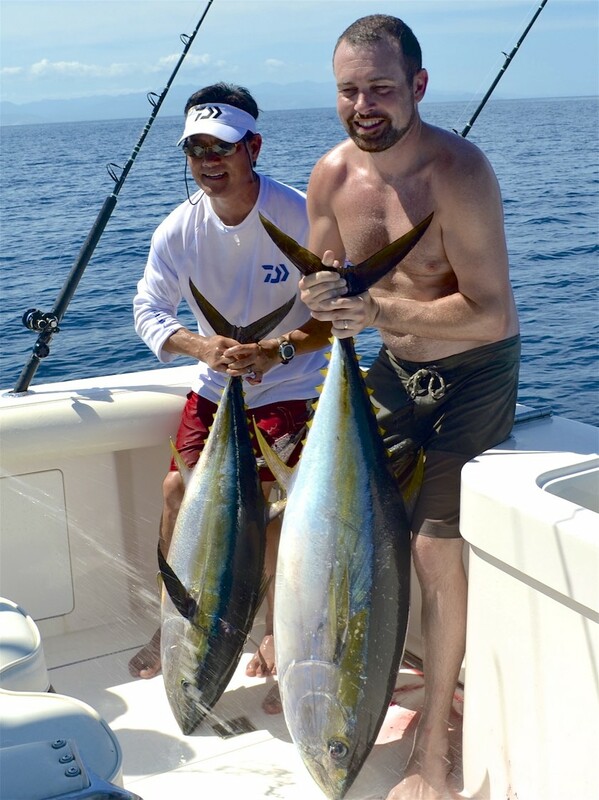 To be truthful, the tuna has saved our bacon and has provided so much of a distraction most anglers haven't paid attention to the lack of other species. 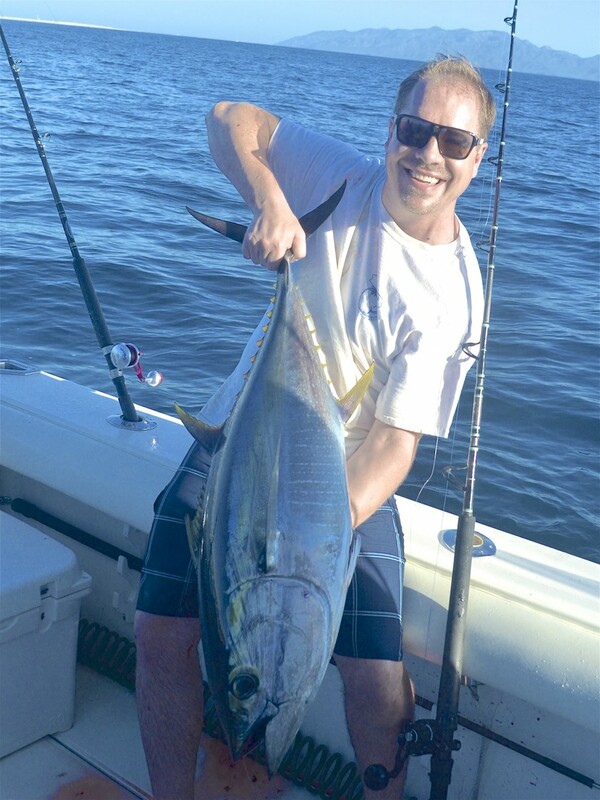 The tuna showed up in March and have been consistent all season on local high spots and sometimes porpoise schools. This week's report illustrates what I'm taking about. Tuna: Same as every week. Wide open, full speed, can't miss. 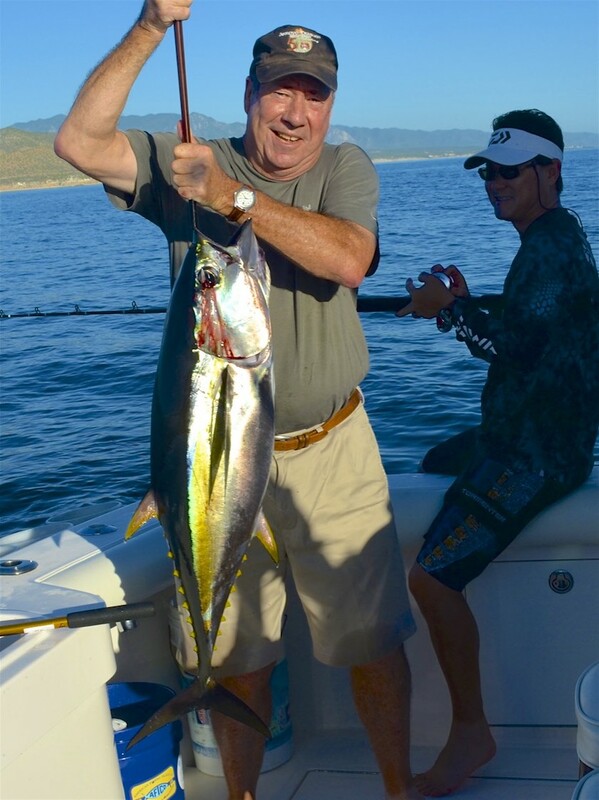 Inshore, off shore, to the south and to the north everywhere we go tuna are popping up. 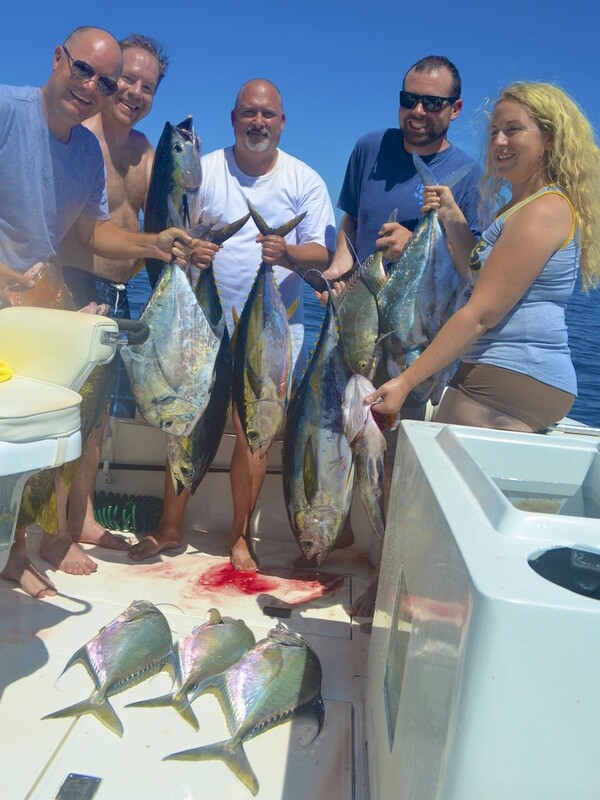 Yesterday our anglers had their coolers full of yellowfin and wanted something different. I stopped on a rock pile at La Ribera where we sometimes have luck catching snapper. 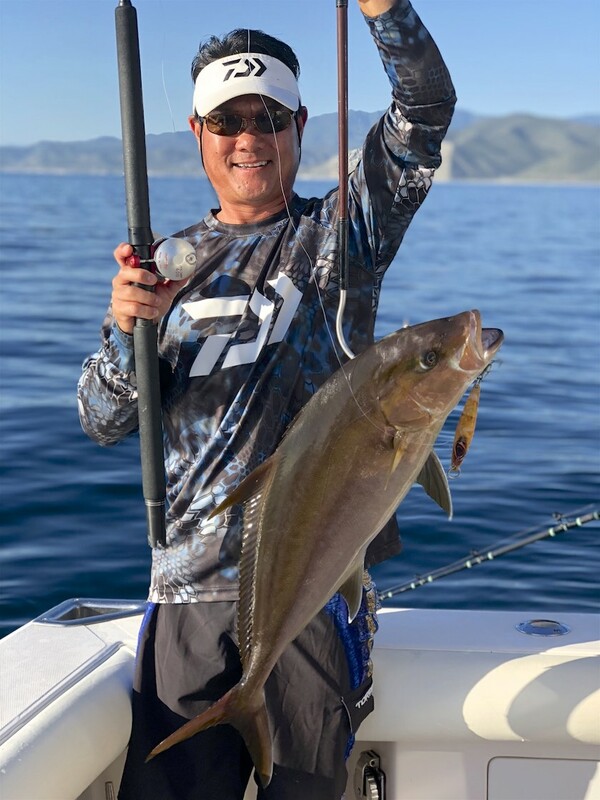 They dropped their flat-fall jigs and about the time the jigs hit bottom an eruption of 40 to 80 pound yellowfin started foaming around the boat. Tuna are literally everywhere. 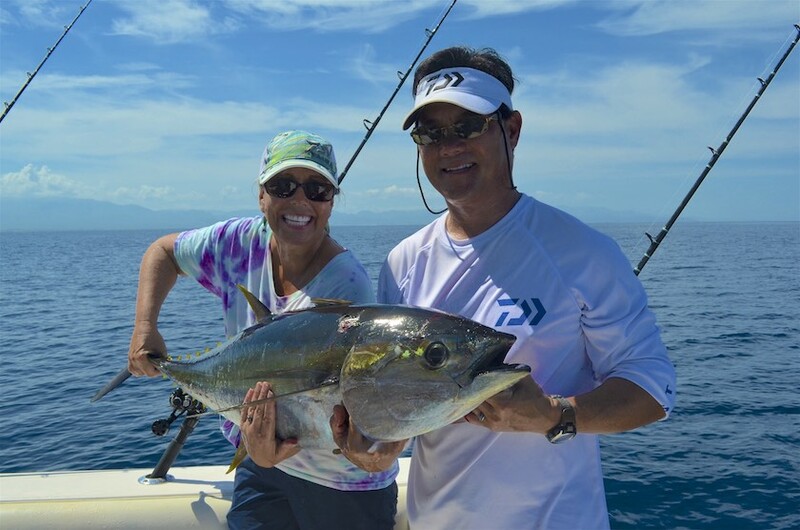 A couple years ago it was frustrating when anglers showed up with tuna brain. All they wanted to catch was tuna. In the morning we would be at the anchorage where there are 50 to 80 boats and I'd ask, "how many boats do you see flying tuna flags?" Now the tide has turned, the laundry is flying and it has been easy to satisfy the need for tuna. Not to be out done Drew Jr.